CK D60 - Carrier installation kit for Dana 60 differential. Yukon Carrier installation kits are great, low cost kit for carrier changes such as Positraction or locker upgrades. Carrier installation kit for Dana 60 differential. This kit contains carrier bearings, races and shims. SL F9-28-31 - Spartan Locker for Ford 9", 28 or 31 spline. 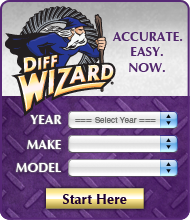 Click the button below to add the CK D60 - Carrier installation kit for Dana 60 differential. to your wish list.